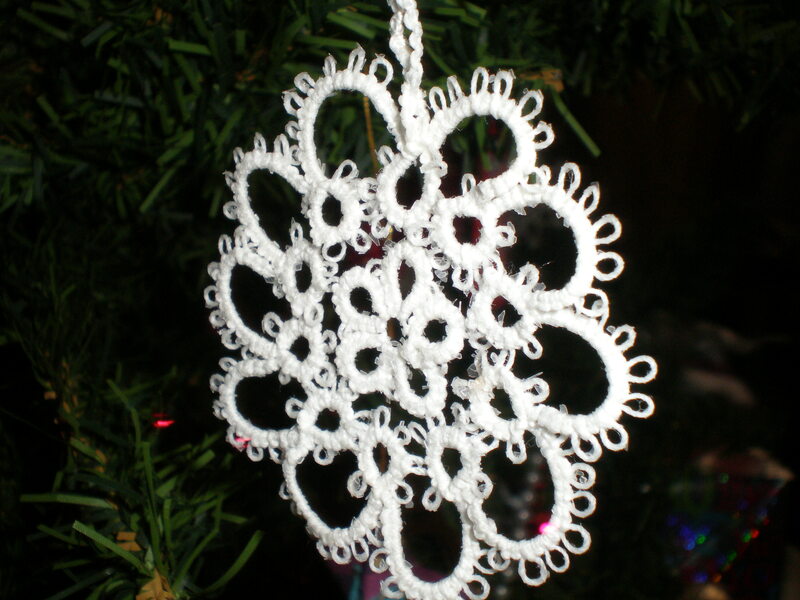 This is one of the crocheted snowflakes that my grandpap's wife Tillie put on their tree. Someone made them for her.When her kids came to take her away after my grandfather's death and rummaged through for the "valuables," they left these. I love them, and think of her and my grandpap when I use them!